Attack on this bike when your competitors are at their limits and you'll storm ahead. We've built the Litening C:62 to be a state-of-the-art race bike capable of tackling the most competitive races, longest sportives and toughest training rides. 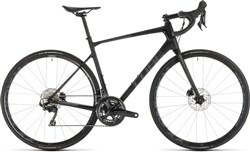 The exclusive combination of the newly developed C:62 carbon chassis, CUBE CSL C:62 carbon fork and a complete Shimano Ultegra groupset makes for an exceptionally fast and light racing machine. It's your guarantee of mile after mile of racing success... and riding pleasure. Frame: Pure, unadulterated carbon frame construction. The use of our Advanced Twin Mould technique, monocoque construction and superior carbon fibres gives us maximum control over the fibre lay-up - and that means we can build a frame that's as light as it is stiff. Oversized carbon tubes in the main frame and chainstays, a tapered head tube and super stiff bottom bracket area all ensure an excellent stiffness-to-weight ratio. Slim seat stays and a flattened top tube are designed to introduce a degree of controlled flex, adding comfort to the ride experience without sacrficing performance. Features: The best possible performance with no frills: our use of a complete Shimano Ultegra groupset with 34-50 tooth compact chainset and 11-28 cassette leaves no doubt that the Litening C:62 means business. The transmission components are complemented by lightweight Fulcrum Racing 55 LG wheels shod with 25mm Schwalbe One Kevlar tyres. The cockpit setup includes a CUBE Carbon Wing Race handlebar and Selle Italia X1 saddle, while the CUBE Performance Motion Post absorbs vibration to guarantee greater comfort on longer rides. I'm very picky especially with bikes and wheels at high prices. This bike is fantastic. I've been looking for faults but I just can't find any. Superb performance. It looks as nice how it rides. I will up grade the wheels but I'm in no rush to. I've cycled over 100 miles twice in 1 week with 20,000 ft of climbing between the 2 rides and the wheels performance is good. No need to up grade group set as it's full ultegra. No need to up grade the wheels really but if you did it would be a super super bike. It ways 7.53kg size 54cm without pedals. 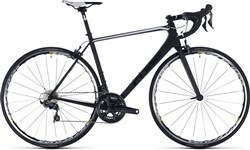 It's fast, light and climbs brilliant. The riding position is 100% race geometry making it an aggressive posture, may not suite everyone but I haven't found it uncomfortable at all but I like the aggressive feel. Well happy. Awesome bike.